There is no way around the fact that this has been a tumultuous bye week at best for Nebraska football. While the bye week helped some players get healthy physically and some recharge mentally, the noise surrounding the program has never been louder under Mike Riley. Still, the staff continues to really get after it in recruiting as if there is no talk at all about them being on the hot seat. In fact, I’d argue that there has been a shift to ramp things up especially locally. Now cynics out there may say “too little too late” on the local prospects but notice how much local recruiting is going on that isn’t for the 2018 class. There is this nice gesture for the Omaha Burke duo, TE Chris Hickman‍ and LB Nick Henrich‍. Plus, Nebraska was the first Power 5 offer for 2020 WR Zavier Betts‍ from Bellevue West. I’m still told that Nebraska is evaluating local talent for the 2018 class as well, with RB Milton Sargbah‍ of Omaha North and RB Moses Bryant‍ of Elkhorn South being on the radar. Mike Riley generated quite a bit of positive buzz during his tour of the Omaha Metro last week, so expect that to pay dividends down the line. >>Nebraska extended an offer to a 2018 California offensive tackle prospect this week and I spoke with him. >>I saw a lot of great high school action this regular season so I highlighted some of the players that really stood out to me. >>Huskers 4-star TE commit Cameron Jurgens‍ did suffer a broken leg in last week’s game against Norris. It’s an unfortunate setback for the young man but he’s expected to make a full recovery and possibly participate in track this season where he is also all-state. >>Local talent is being noticed earlier by not just Nebraska. Notre Dame and Minnesota are reportedly asking about recent 2020 WR offer Zavier Betts. Also, Bellevue West coach Michael Huffman tweeted this out. >>Despite all the turmoil around the Nebraska program and the holding pattern with recruits right now, things are about in as good of shape as they good be given the circumstances with recruiting. Before you send that angry email, let me explain. Nebraska is currently 3-4, underdogs to Purdue and there is constant, loud speculation about the coach. Yet, to this point no players have decommitted and none of the high-priority targets have committed elsewhere. Joshua Moore and Bookie Radley-HIles still look like they are just enjoying the process first and lining up backup plans second. That order is important. Those players and many others would love to come to Nebraska and be part of something special to turn things around. Moore specifically cites that when I ask him about how he feels with his commitment to Nebraska. There are other players that have visited Nebraska like 4-star WR Isaah Crocker and 4-star DB Christian Tutt who very much want to be part of what Mike Riley is building. I believe 4-star WR Tommy Bush is in the same boat. 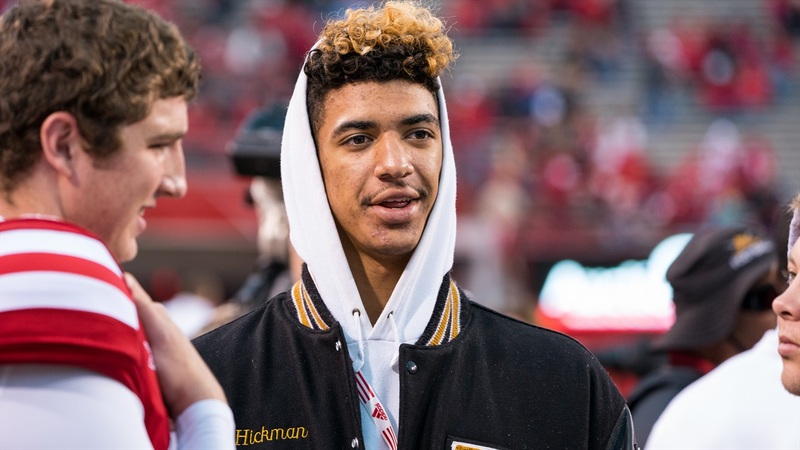 All of those prospects taking a wait and see approach instead of already jumping ship is a good sign that Nebraska can salvage things if they can turn the season around. I understand to many that is a BIG if but right now the opportunity is still there.